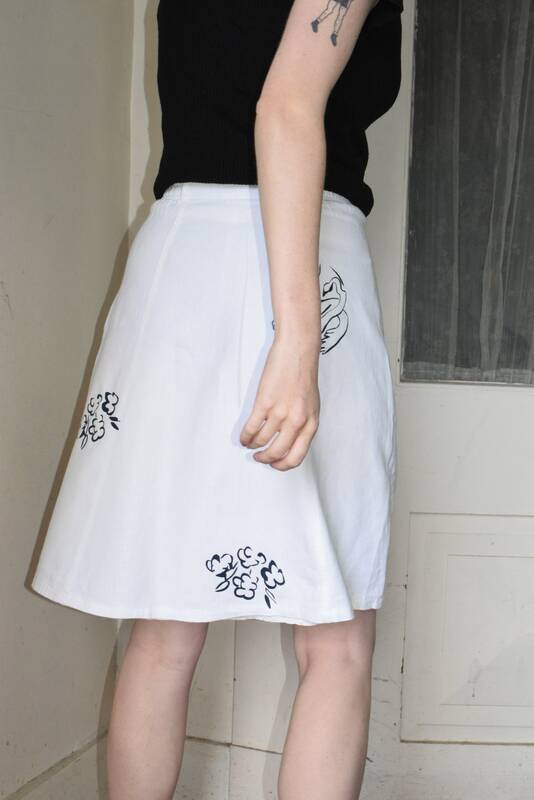 White A-line linen skirt printed with out Leda design in black. 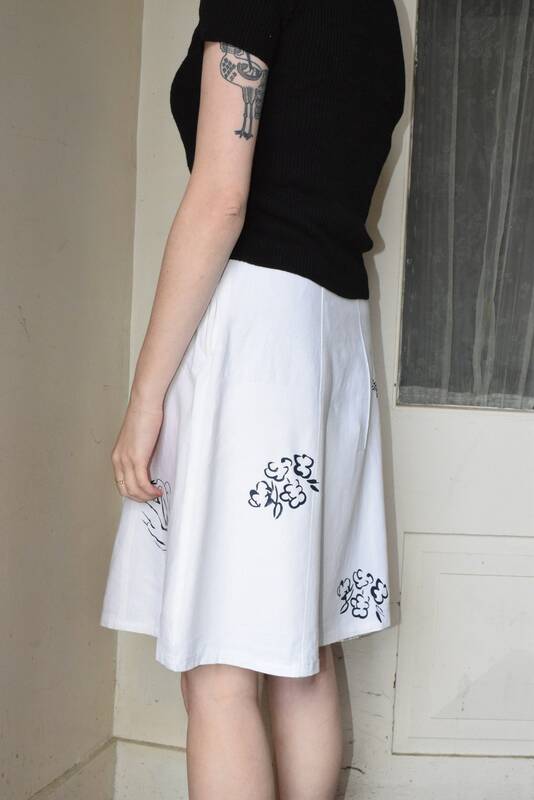 Garment has small sipper on side, belt loops, and a built-in slip. 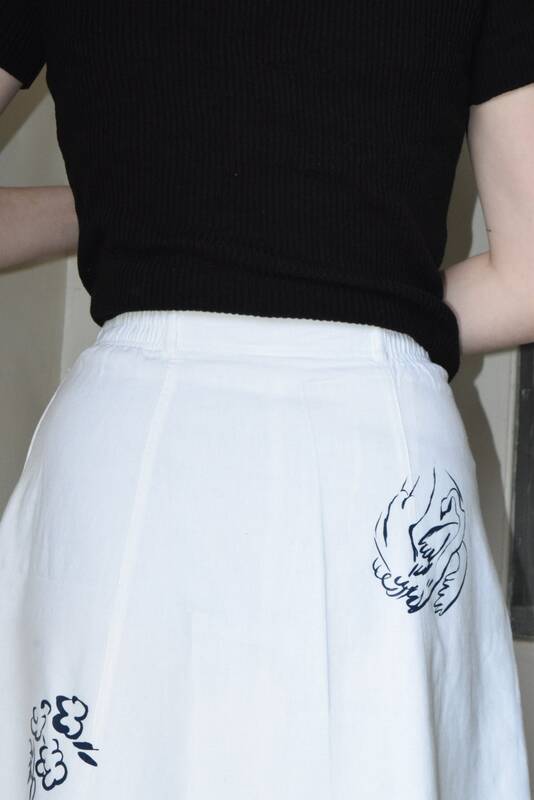 Portions of elastic through waistband allow for a flexible fit. Material is super soft and medium weight. Size 6. Fits XS - L depending on desired fit - see below for full measurements. 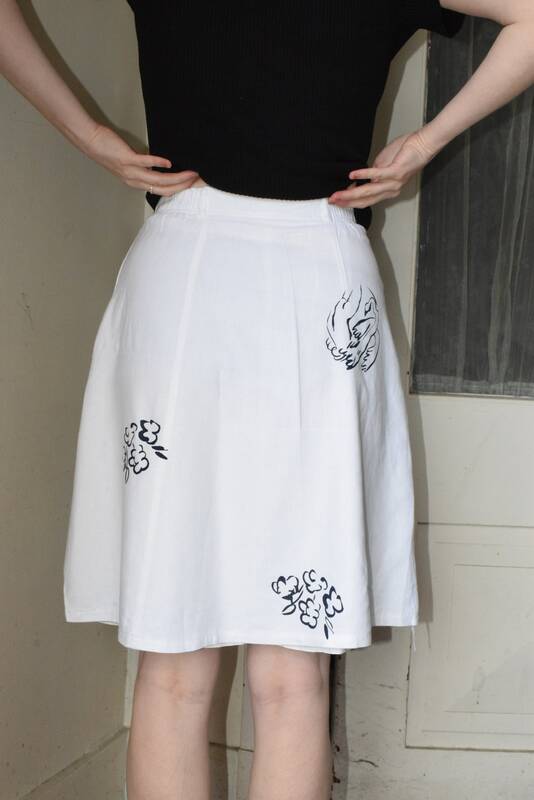 Waist un-stretched 26-32" || Hip 44" || Width at bottom seam 29" || Length 23"